Welcome to the Hampton District One website. We are very proud of our school system, departments and individual schools in our district. The Hampton Board of Trustees is a very progressive Board that is committed to improving the school district and offering a quality educational program to the children we serve. We have talented teachers, staff and administrators working in our district to provide meaningful learning experiences for our children. We serve 2441 students and have approximately 400 employees in the 7 schools in our district. I invite you to visit the individual web sites for the schools to learn more about them. We are also proud of our individual departments and we invite you to look at their websites. Hampton District 1 serves four towns- Varnville, Hampton, Yemassee and Brunson. We have a strong partnership with the Technical College of the Lowcountry and the University of South Carolina Salkahatchee. 7. expand our offerings both in academic and vocational programs. We want to provide a safe environment in our schools conducive to learning. We want our students and employees to feel safe in our buildings. We operate our schools efficiently using Total Quality Management System concepts to guide our efforts. Our goal is to prepare our students for opportunities they may have in the future. In curriculum, we are analyzing the state standards and developing practice sets to help us teach each standard as we emphasize STEM (Science, Technology, Engineering, and Math), reading proficiency at all levels, and support for Career and Technology courses. We recently added courses in Fire Fighting and Automotive Technology. Although we are no longer under a TIF grant, our teachers continue to receive ongoing professional development and collaboration through Professional Learning Communities (PLCs). Every instructional strategy and every initiative aligns to the South Carolina Profile of a College and Career Ready student. Hampton District One has outstanding employees working for the children we serve. They are talented, caring, and dedicated in their respective positions. They are very willing to train in order to improve their skills and expertise. It is a pleasure to work with our employees daily as we strive to prepare our children to fit the profile of a South Carolina graduate which includes world class knowledge, world class skills, and life/career character development. We welcome you to come visit our School District. Doctor Wilcox attended the University of Tennessee at Martin on a basketball scholarship, where he earned a degree in business administration. He received a master’s degree in Business Administration, as well as a Doctoral Degree in Educational Leadership from East Tennessee State University. 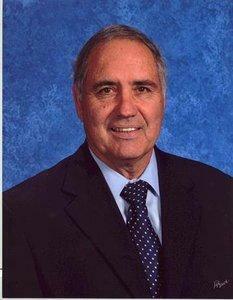 He has been a teacher, coach, and Director of Schools in Unicoi County Tennessee. Most recently, he has been Superintendent of Schools in Madison County, North Carolina since 2001, where he was named Western Regional Superintendent of the Year in 2010. Dr. Wilcox is married to Patricia Ann Runion Wilcox, and has three grown children Justin, Marcus, and Angela.